A whiter brighter smile is one of the top ways people want to improve their teeth. Many people look for do-it-yourself whitening kits or even free teeth whitening. But there are questions about how the bleaching gel will affect existing dental work. What results can you expect with free teeth whitening if you have dental implants? Dental implant crowns are usually made from porcelain or another material that is colorfast and doesn’t respond to attempts to whiten them. Crowns are stain resistant, but they can’t be penetrated by bleaching gel. Sometimes, a dental lab can change the color of crowns, but the original color is baked in, so even if it can be changed, it the color would be darker, not lighter. Depending on the position of your natural teeth in relation to the implant crowns, whitening your teeth may not be a problem. If your implants are toward the back of your mouth, people probably won’t notice that your natural teeth are much whiter. It is possible to get your teeth as white as you want them and later replace the implant crowns to match them. But if the crowns are being replaced for cosmetic reasons only, your insurance company probably won’t offer any benefits toward the replacement, unless your implant crowns are old. Bottom line: You can whiten your teeth if you have dental implants, but only your natural teeth will whiten. You should consider the position of your natural teeth in relation to the implant crowns. The dental implant crowns will not whiten, and replacing them for a color match can be costly. If you have received a free teeth whitening kit, check the contents of the bleaching gel. The most common whitening agent is carbamide peroxide. If your bleaching gel contains a different whitening agent, research it for safety. Also check online to see what other users say about the gel in your bleaching kit. Your dentist can provide safe, predictable results. 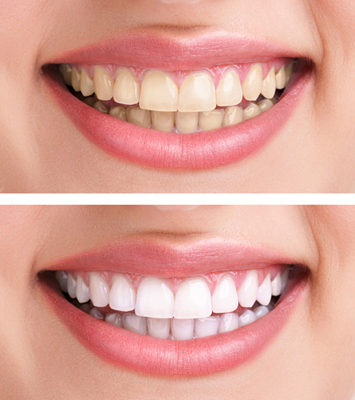 Speak with him or her about how teeth whitening can be made affordable for you. This post is sponsored by Plano, TX dentist Dr. Miranda Lacy. She offers free teeth whitening to her patients who maintain regular cleaning and exam appointments.